“We were on a break!” is a phrase that any Friends fan is used to hearing, but no one expected to hear it from Netflix. When a note on the streaming service reading “Available until January 1” appeared on the details tab of the show, fans went into a collective freak-out. A Change.org petition was created, begging Netflix to keep streaming the beloved sitcom. According to the petition, removing Friends from the service “is unfair, unacceptable, and downright inhumane.” Fans demanded #Justice4Friends. On Monday, sensing the panic, Netflix announced via Twitter that Friends will indeed remain a part of the streaming catalog throughout 2019. They have since also removed the expiration warning from the show's details. Friends has become one of the most popular licensed shows on Netflix since the streaming service bought the rights to all 10 seasons in 2014 for a hefty $118 million. There had been speculation about the four-year-old deal, as WarnerMedia plans to launch its own subscription VOD service in 2019. 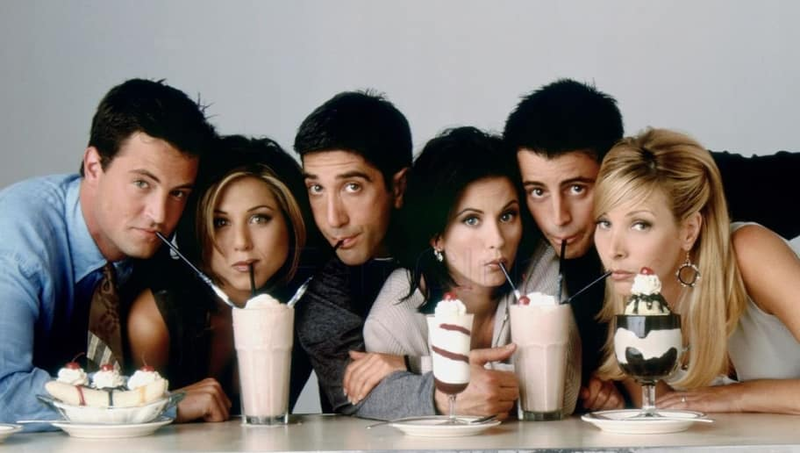 Some fans have wondered if Friends would be on the list of series being discontinued from Netflix, but others are hopeful that the two companies might reach a new agreement. Friends fanatics took to Twitter after the news spread to discuss their dissatisfaction over the disappearance of the show. We're glad that we've got another year to keep re-watching the comic adventures of Monica, Rachel, Ross, Phoebe, Chandler, Joey, and Ugly Naked Guy.